Join us on select Mondays at 6 pm for a quick demonstration of how to use some of our equipment. Registration required. Call 330-643-9145 or email esdiv@akronlibrary.org to register. 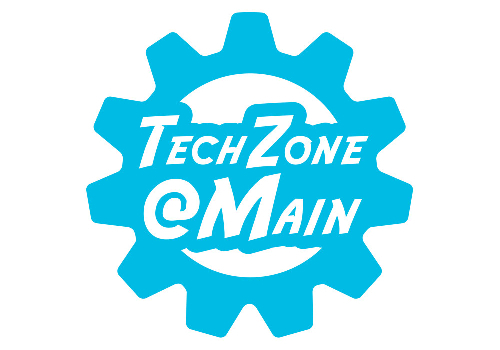 TechZone@Main, Akron-Summit County Public Library's makerspace, has all kinds of equipment to help fulfill your creative dreams as an artist, entrepreneur, or small business owner. 12/10/2018 | Vinyl Printer - Learn how to use our vinyl printer to print vinyl banners, stickers, window clings, heat transfer materials and more. 12/17/2018 | Laser Engraver - Etch patterns, text, logo or pictures onto a variety of materials with our free Epilog Laser Engraver. 1/28/19 | Media Transfer - Digitize VHS, Super 8, 8 mm, negatives, vinyl LPs, or cassettes for free at our Media Transfer Station. 2/4/2019 | Vinyl Printer - Learn how to use our vinyl printer to print vinyl banners, stickers, window clings, heat transfer materials and more. 2/11/2019 | Silhouette Curio - Color, etch, and/or cut out on various materials on our free Silhouette Curio - it's a crafter's dream! 2/18/2019 | Green Screen Room - Add a custom background to your picture or video by learning how to use our free green screen room. 2/25/2019 | Laser Engraver - Etch patterns, text, logo or pictures onto a variety of materials with our free Epilog Laser Engraver.